Women, an integral part of our life, works without a break for her family, her society and her friends all through the year. So, on “International Women’s Day” which is celebrated on March 8th, LEAD took an initiative of organizing an event “Recognizing the Unrecognized”. In this event LEADers of LEAD felicitated 18544 women. It is an approach where women of our society who are rarely recognized and are responsible for important works such as cleaning railway stations, bus stands, picking household trash, selling vegetables etc. were complimented. LEAD and LEADers believe, without these women the world would come to stand still. The event was conducted by LEADers(Under Graduate and Masters pursuing College Youth) from each location of LEAD who had voluntarily taken up the leadership initiation to identify and appreciate the women on the occasion of Women’s Day. 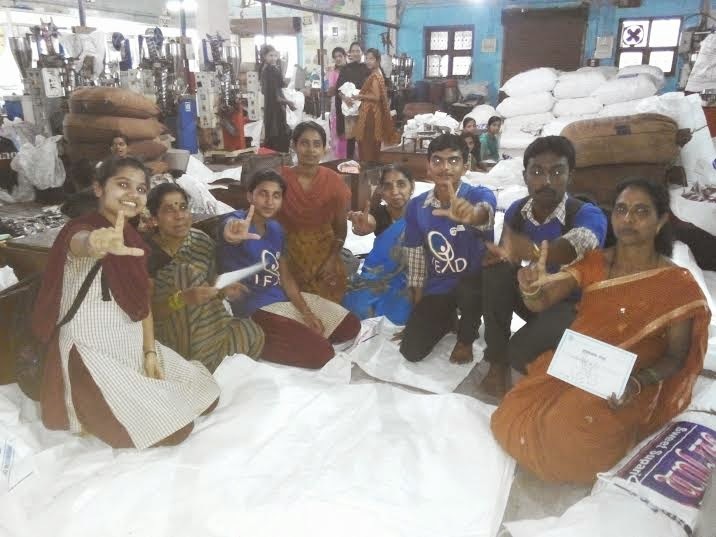 More than 250 students/leaders had taken the initiative from more than 100 colleges across 5 states (Karnataka, Telangana, Andhra Pradesh, Uttar Pradesh, and Maharashtra) of India. They touched lives of more than 8000 women. This event was held at various locations of Karnataka such as Hubballi, Dharwad, Belgavi, Bijapur, Kalburgi, Davangere, Bidar, Chitradurga, Chikkodi, Naragund, Sirsi and Haveri. Apart from Karnataka, the event was also held at LEAD locations in Telangana, Andhra Pradesh, Uttar Pradesh and Maharashtra. 4749 women lives were touched by 120 LEADers. 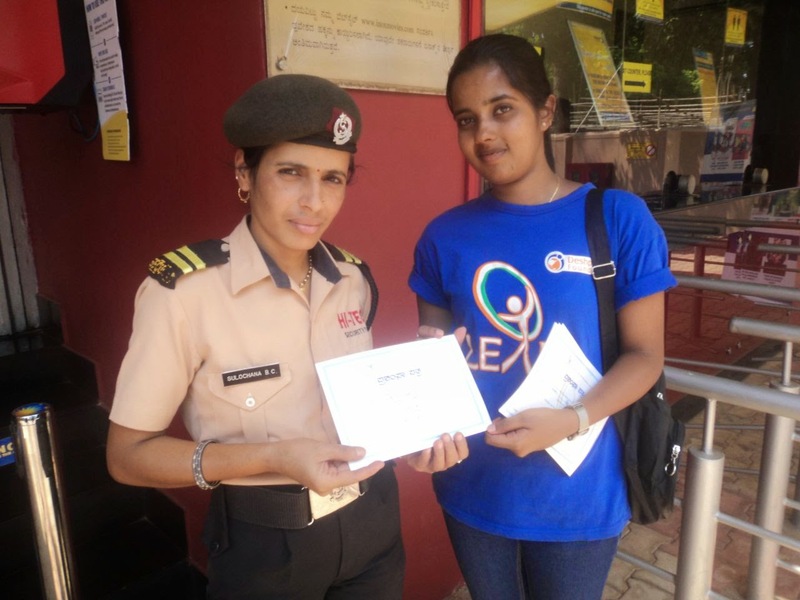 Students from 12 different colleges of Belgaum had participated. 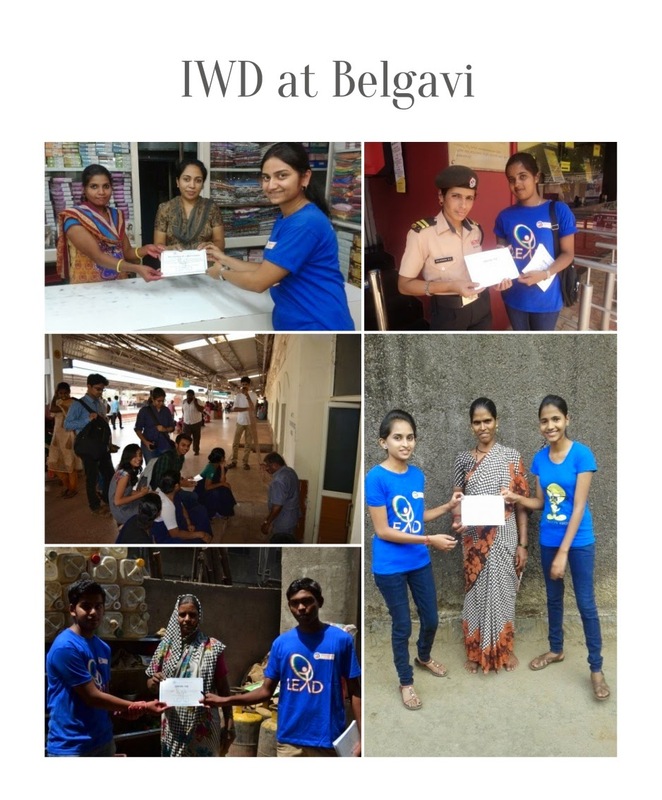 Alisha Shinedar, Santosh Patil, Basavaraj Kadkel, Amit Kudchi, Saleem Mulla, Amruta, Rethika Ganger, Yuvaraj Patil, Akshay Allmatti & Manish Mulla were the master leaders who played an active participation in the success of International Women’s Day. Lives of 4807 women were thanked by 41 leaders from 10 different colleges. 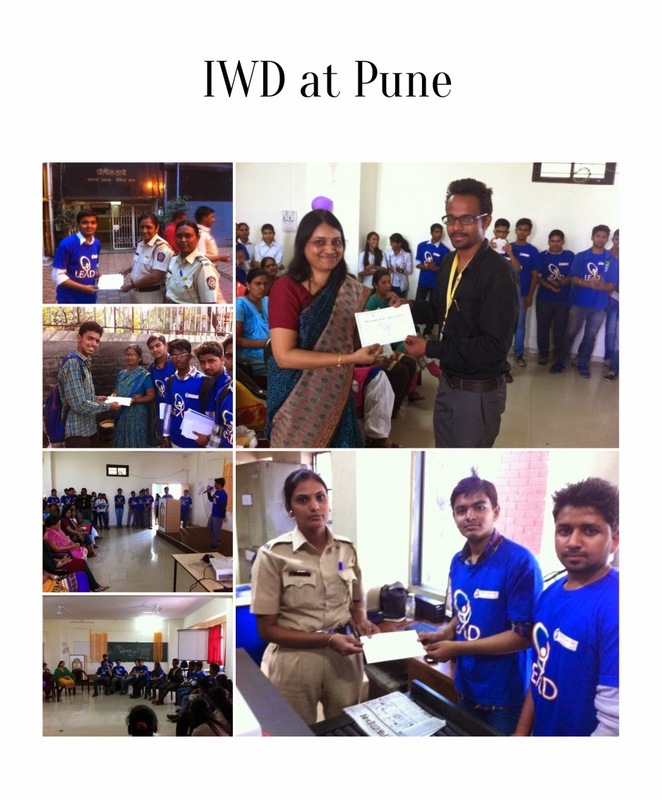 Jyothi, Pooja, Romy were the master leaders who played an active participation in success of celebration of International Women’s Day at Pune. Lives of 1700 women were thanked by 9 leaders from 3 different colleges. 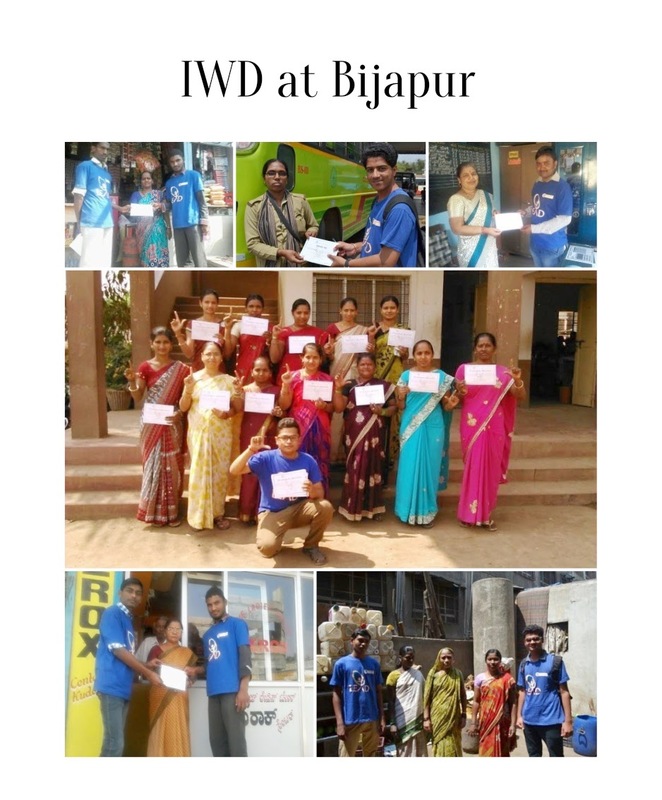 Veeresh, Siddanth & Sandesh were the master leaders who played an active participation in success of celebration of International Women’s Day at Bijapur. 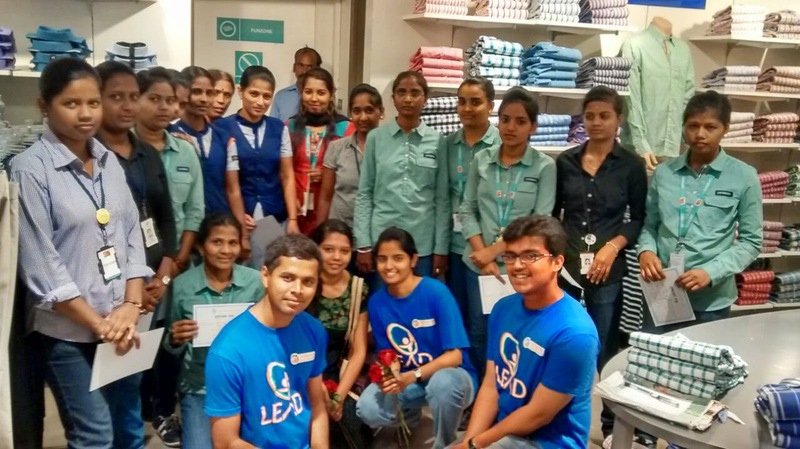 2535 women were complimented at Hubli. Harish, Muzabal, Naveen, Shivraj, Raju, Vinayak were the master LEADers who worked with 43 other leaders from 16 different colleges. 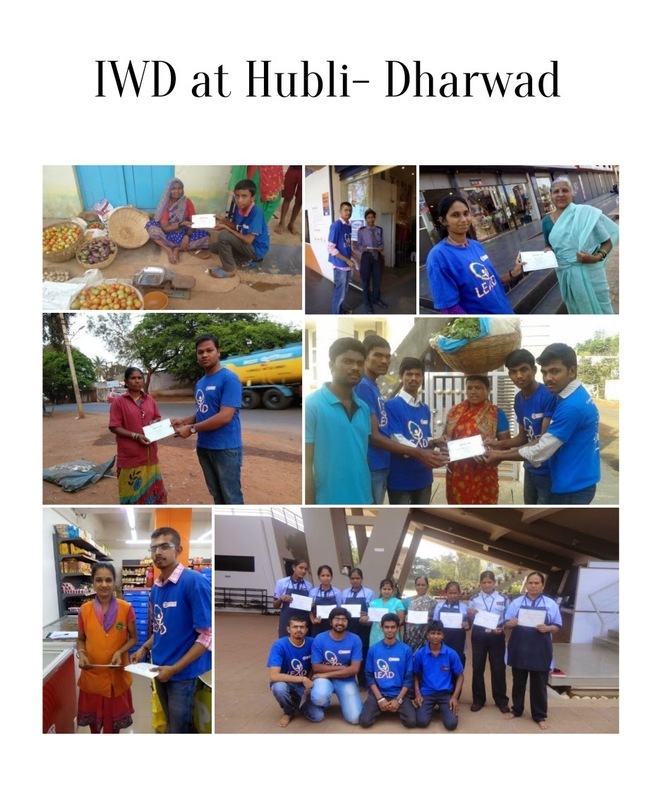 The International Women’s Day was a great success at Hubli. 600 women were appreciated by 6 LEADers from 4 different colleges. Krishna, Keerthi Yashashwini, Varsha, Dayana, Mamata, Akhilesh and Ashok were the master LEADers who worked hard to make it International Women’s Day a great task. 11 leaders from 6 different colleges participated and appreciated 860 women. Kalyan, Ramesh and Vikas played a major role in making it a great success in Telangana. Vegetable sellers, nurses , bus conductors and women from various backgrounds were appreciated. 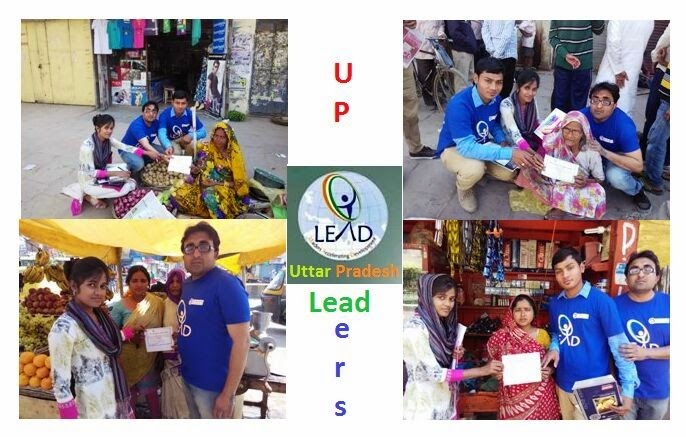 LEAD which has recently begun at Uttar Pradesh also celebrated Women’s Day by felicitating 150 women. 13 leaders participated in this event. LEAD has been recently introduced in Uttar Pradesh in October 2014.
International Women’s Day was celebrated at Tumkur where 300 women were appreciated by 20 LEADers. Maitri, Anusha, Banu and Chaitra were the master LEADers who contributed to the immense success of International Women’s Day. The LEADers were the participants of LEAD Prayana 2015. They are from the Siddaganga Institute Technology College. The women from various backgrounds were appreciated. 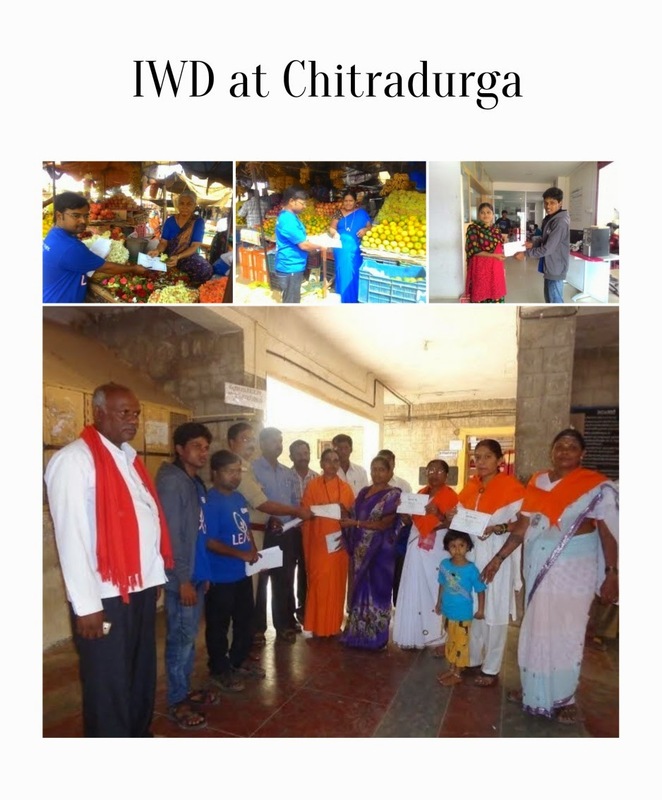 1200 women were felicitated in the fort city Chitradurga . 25 leaders from 6 different colleges participated. Akhilesh H R, Mamata, Yashaswini, Girish,Vandana, Shama were the LEADers who worked hard to bring smile on the face of women in Chitradurga. 560 women were thanked by 36 LEADers from 30 different colleges at Gulbarga. The master LEADers who worked and made International Women’s Day reach at the grass root level were Laxmi, Preethi, & Bhuvaneshwari. At Bangalore, the silicon valley of India LEADers Priyanka, Nikhil, Priyanka, Chandrashekar and Poojashree worked at Bangalore to appreciate 200 women. 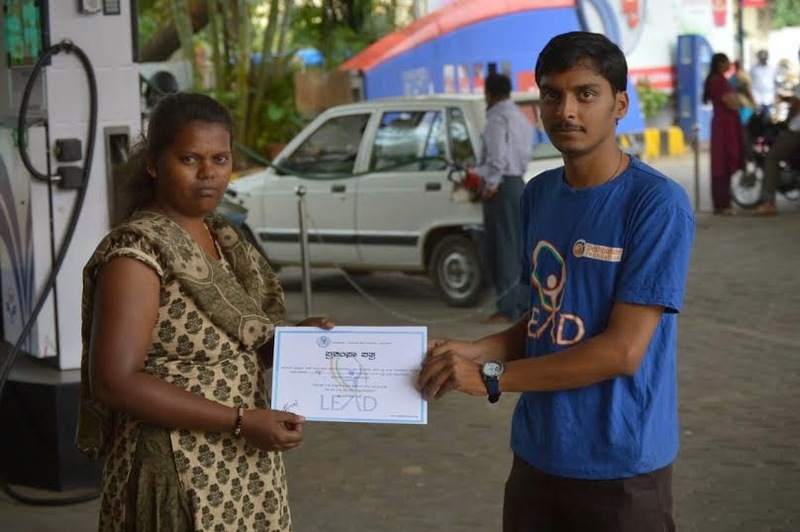 Nikhil, Chandrashekar , Priyanka were the participants of LEAD Prayana 2015. 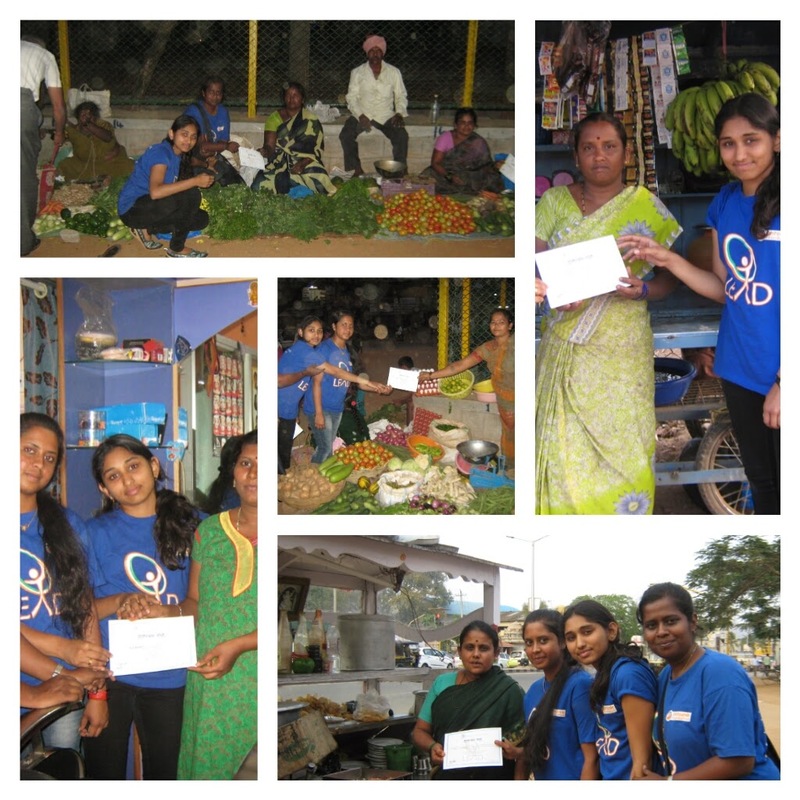 Prasanna took up the leadership of thanking and touching the lives of 150 women in Mysore. His team consisted of 5 members. 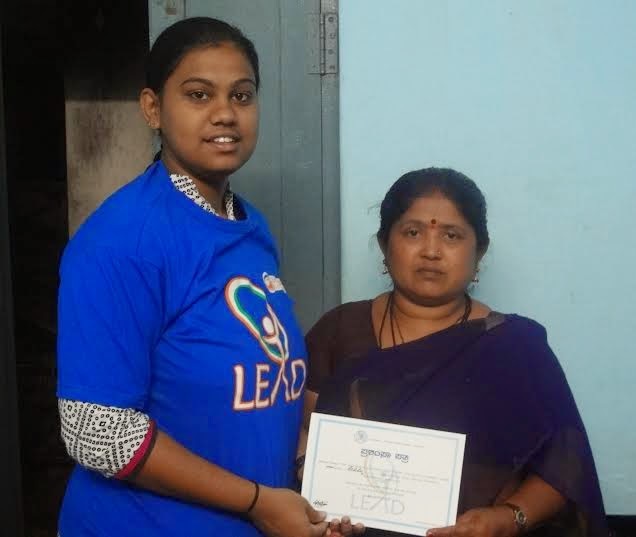 Prasanna has done several leadership projects in LEAD. 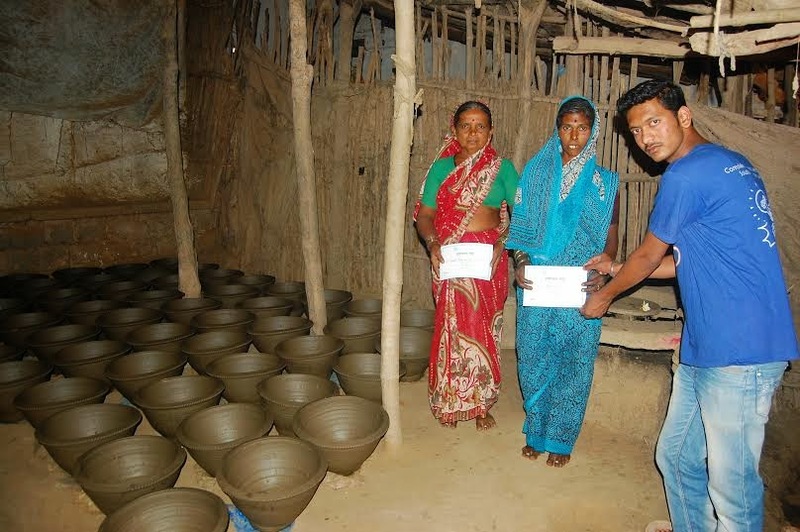 He has won “Best LEADer Award” in Yuva Summit 2015″ for his low cost model of Planetarium. 150 women were appreciated in Andhra Pradesh by 6 LEADers of LEAD. The leaders were from 2 different colleges. 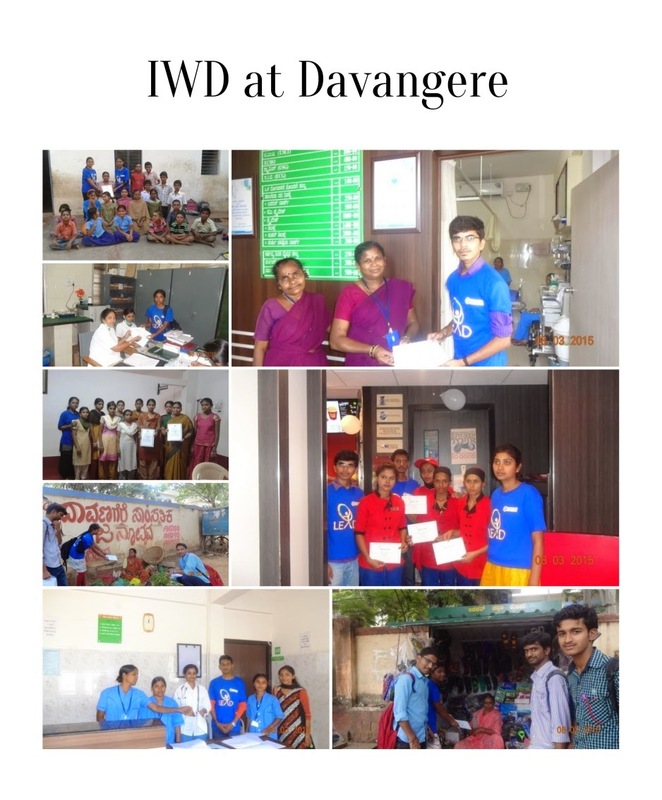 Hemanth and Aditya were the master LEADers who worked for the success of International Women’s Day at Andhra Pradesh. LEAD is currently working at 5 states apart from Karnataka . Andhra Pradesh, Maharashtra, Telangana, Uttar Pradesh, Tamil Nadu.